Just like you have a physical body with muscles that keep it safe and strong, you have a spiritual body with ‘muscles’ that serve the same purpose. Some people have a lot stronger spiritual body than a physical one, some have a stronger physical body than spiritual, but a healthy balance is the right choice here. The difference between the spiritual and the physical body is equivalent as the difference between the captain and its vehicle. Just like we do physical fitness to keep our body strong and healthy, we should do spiritual fitness for the same reason. The level of our spiritual fitness determines how energized, happy, engaged, and aligned we feel in our everyday lives. Or in other words, how the captain feels inside the vehicle, how purposeful, awaken and aware the captain is. To help you understand where you stand on the spiritual fitness scale, master energy healer Jeffrey Allen identified the six areas of “spiritual fitness” that comprise a meaningful life. This is something like the core muscle of your spirit. When this ‘muscle’ is exercised your whole spiritual body is strengthened. Instead of focusing solely on your personal experience, your consciousness expands to include those of other planes; things we may not logically understand, but intuitively know. IF IT’S STRONG: You know where you are going. You can let go of control because you know you’re being guided by something bigger than you. You feel connectedness, abundance, and peace. IF IT’S WEAK: You experience unnecessary struggle in your life. you feel disconnected, lonely, and unfulfilled. You feel as if your life is driven by guesswork and lacks real direction. HOW TO EXERCISE IT: Do an activity that connects you to your Higher Self and higher realms of existence or whatever is sacred for you. This is the Self part of your spirit, the I that’s in control. This is what we awaken and what we make aware. More than just being aware of our physical, mental, spiritual or emotional well-being, self-awareness means that we are truly awake; that we have consciousness. There are 2 parts of this muscle: Location Awareness – experientially discovering the “self” independently from your body, mind, and thoughts; – and Time Awareness – finding Happiness in the now, not the past or future; – and both of them construct your self-awareness muscle. IF IT’S STRONG: You feel in charge of your life. You know you are the driving force behind what manifests in your life, and you have the ability to change it. IF IT’S WEAK: You feel like life is happening to you, rather than by you. You have feeling of hopelessness or despair. You feel like you have no control over your own life path. HOW TO EXERCISE IT: Do mindfulness meditation. This is the mental aspect as perceived from your spirit. 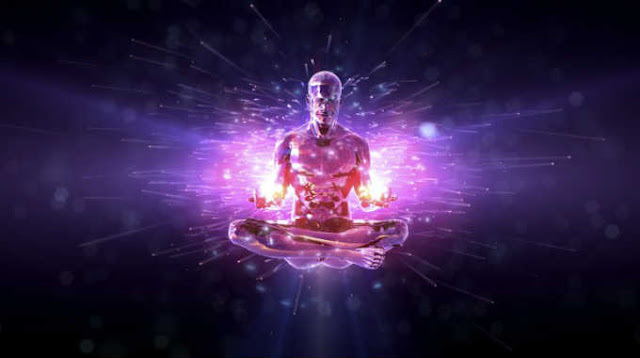 It’s the power your spiritual body has over your mind and how harmoniously they are connected. If we neglect this muscle our minds can work against us, without us realizing it. IF IT’S STRONG: You are in control of your thoughts and, therefore, your own reality. You have awareness of the world around you and you are present in the moment. The spiritual insights you absorb from the spiritual realm are easily translated from your mind. You are open minded and you filter out prejudice. IF IT’S WEAK: Undisciplined mind can cause arrogance, stubbornness, & distracted thoughts. Your focus is wasted on unimportant and damaging thoughts because you haven’t spiritually harnessed the power of our mind. HOW TO EXERCISE IT: Do visualized meditation or a creative activity. Any activity that calms the chatter of your mind strengthens this muscle. This is the outer layer of your Spiritual Muscle, the impactful strength. It determines how big of an impact we have over others. The strength of your Spiritual Muscle and the strength of your Impact Muscle add up and complement each other. IF IT’S STRONG: You know you are positively impacting others and you embrace new opportunities that come your way. You have an outward focus of the world and you know how you can make a difference. IF IT’S WEAK: You feel unfulfilled and bored with your life. You experience jealousy of others’ achievements, you might even feel overwhelmed by work. You hide away from success and play small. HOW TO EXERCISE IT: Learn to see how your actions impact the world around you. Exercising your spiritual muscle strengthens this muscle too. This is the emotional aspect as perceived from your spirit. It’s the power your spiritual body has over your heart and how harmoniously you are in touch with your emotions and feelings. This muscle connects your spirit to your emotions and to others. When we are in touch with our emotions, we’re able to express ourselves more fully. IF IT’S STRONG: You relish your emotions and how they are expressed. You enjoy all of your emotions, you are empathic, and you easily build trust with others. IF IT’S WEAK: You feel lack of emotions, or alternatively, overly emotional. You may not understand your own emotions, or feel drama recurring in your life or you might be addicted to something that produces a particular emotion. HOW TO EXERCISE IT: Stop running away from your emotions. Sit with your emotions, explore what you feel, embrace it. Listen to what your emotions are trying to tell you. Express them. Try balancing your chakras and doing a chakra meditation. This is the physical aspect as perceived from your spirit. It’s the power your spirit has over your body and how harmoniously they are connected and work together. It determines how well your body serves your spiritual desires. IF IT’S STRONG: You feel present, alert, and seen. You are coordinated, aligned, and not concerned with what other people think. You’re present and exited to be alive. IF IT’S WEAK: You feel faint, weak, or detached from your physical body. You feel less coordinated with your body, and that’s echoing into your life and relationships. HOW TO EXERCISE IT: Do Yoga or dance. Do any activity that forces your body, mind and spirit to work together. Take care of your body and its hygiene.